This story originally appeared on TIME. 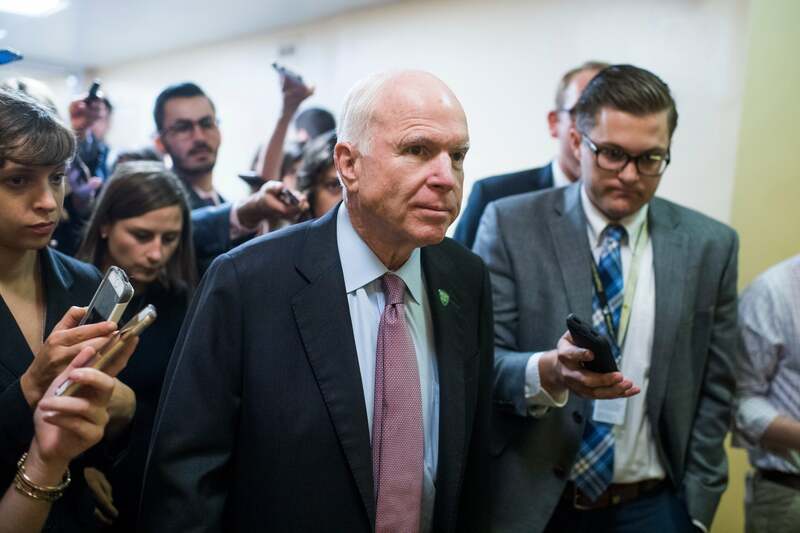 Sen. John McCain said Friday that he “cannot in good conscience” support the Graham-Cassidy bill to repeal the Affordable Care Act, an announcement that makes it extremely unlikely the bill will pass. The Arizona Republican, who is good friends with co-sponsor Sen. Lindsey Graham, had previously cast the decisive vote against the last Obamacare repeal effort in July, arguing that the Senate had not followed the proper procedure for major legislation in Congress. In a statement, he made the same criticisms of the current bill. “I cannot in good conscience vote for the Graham-Cassidy proposal,” he said. “I believe we could do better working together, Republicans and Democrats, and have not really tried. Nor could I support it without knowing how much it will cost, how it will effect insurance premiums, and how many people will be helped or hurt by it. Republican Sen. Rand Paul of Kentucky has also said he will not support the Graham-Cassidy bill, complaining that it keeps too much of the Affordable Care Act’s infrastructure in place. With McCain and Paul voting no, Republicans cannot lose another vote. Republican Sens. Susan Collins of Maine and Lisa Murkowski of Alaska have also expressed skepticism of the bill. Collins said earlier Friday that she was “leaning against” the bill. Several other Republican senators have been on the fence. Under parliamentary rules, Senate Republicans have until Sept. 30 to pass an Obamacare repeal on a strict majority basis; after that, it will be subject to 60 votes to overcome a Democratic filibuster, an impossible task in the current Congress.